is a communications and sustainability consultant at Phenomenal Words , and has been working in communications, training and CSR for over 17 years, mostly in the UK, France and Germany. 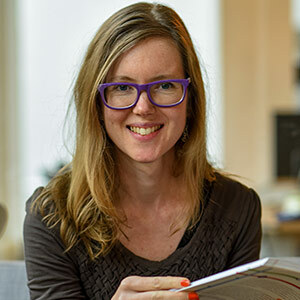 She is a member of Circulab Network , an international network of facilitators founded in Paris, which promotes the circular economy via a business game. In parallel, she does editorial work, translations, moderating and is a language coach for TEDx speakers, managers and start-ups on the themes of sustainability, energy and culture. She has over 8 years' experience working for French energy group EDF in London and Paris as a communications & CSR manager and chief of staff. Prior to this, she worked as the deputy to the cultural attaché at the French Embassy in London. During a 10-month world trip, she became interested in the theme of dustbins/trashcans, photographing them as she travelled, and turned her photographs into an exhibition, Les Plu'Belles , which has been on show in a dozen spots in Paris and Berlin, and which she is now turning into a book. Phoebe is trilingual, studied German and French at Oxford, Hamburg and Bonn, and lives in Paris and Berlin. She recently completed a certificate in neurolanguage coaching (ICF accredited), using neuroscience and coaching principles to transfer language competencies. Last but not least, this year she could be seen on stage after finishing a course on Stand Up Comedy & Sustainability, convinced that humour can help to communicate on this not usually humorous topic.